Written by: Malone on August 12, 2013. THE GUILLOTINES available on Blu-Ray and DVD, 8/13 from Well Go USA! What do you get when you combine epic sword fights, terrorism, betrayal and… decapitations? “The Guillotines “, of course! Andrew Lau, perhaps best known to Western audiences as the Producer/Director of the “Infernal Affairs ” trilogy, brings new meaning to “headhunting” with his latest film coming to Blu-Ray and DVD on 8/13 from Well Go USA. 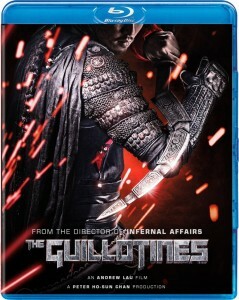 Part action movie, part period drama, “The Guillotines ” aims to fire on all cylinders and appeal to a wide audience. But as is brought up numerous times in the film, when you make a promise, it must be kept – and the promise is cool weaponry taking off heads. Unfortunately, just like a character in a Lau film, the Director betrays us and delivers something that’s mostly different. That isn’t always a bad thing. But it is, in this case. A couple things really stand out about “The Guillotines “. First, the cinematography is breathtaking. Yuen Man Fung’s mastery of a camera shines through as the camera pans over sweeping countryside vistas and through old villages in the heat of battle. The fights are well choreographed and as I mentioned earlier, those guillotines are really cool. I might even say they’re the coolest part of the movie, which is why it’s so heartbreaking to see them hardly used. It would be like introducing a lightsaber in “Star Wars “, only to stick with blasters for the entire saga. The story is pretty good, but could have been great if it were not for an abundance of lulls in the action. Too many times, the film hits a boring patch where seemingly nothing drives the film forward. Maybe Lau is trying to build on the betrayals at hand, but this isn’t “The Departed “. The hunters are now the hunted, we get it… let’s see more hunting!! 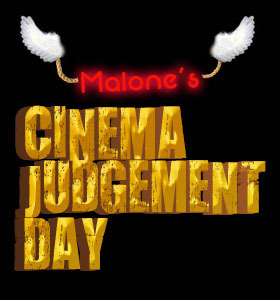 I’m not saying the film is devoid of action. When it’s there, it’s beautiful and intense… when it’s not, things can get painful. Had Lau included a few missions for our boys, maybe the 113 minute runtime wouldn’t have felt like 213. 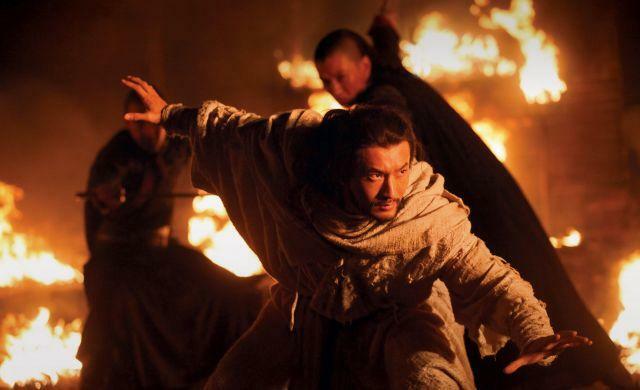 Wolf (Huang Xiaoming) wages war. All that aside, this is one of the best looking Blu-Ray discs I’ve seen from Well Go USA – and that’s saying something. The high def picture is crisp and sharp and doesn’t undermine the CG effects that are used. As a matter of fact, “The Guillotines ” could easily go toe-to-toe with many big budget Hollywood movies and with the exception of a few moments of fake looking fire, would hold its own. This is a fine looking film and the disc does it justice. The Mandarin 5.1 DTS-HD MA track is flawless. Whether it’s the clarity of the dialogue, the cleanness of the score or the thunder of cannons across the sky, this is a solid mix that’s every bit as big as a “Transformers” film. More into dubs? An English language 5.1 DTS-HD MA option is available for those allergic to subtitling. The disc comes with the film’s theatrical trailer (Well Go USA has always been good with that) as well as ads for other offerings, a “making of” featurette and cast and crew interviews. “The Guillotines ” scores a 1.5 out of 4 angels. With the pedigree and the promise to be a great action/drama, it somehow falls flat and never lives up to the potential of the film’s opening. Despite terrific visuals and amazing sound, you’ll find this to be more sluggish than Lau’s previous offerings.